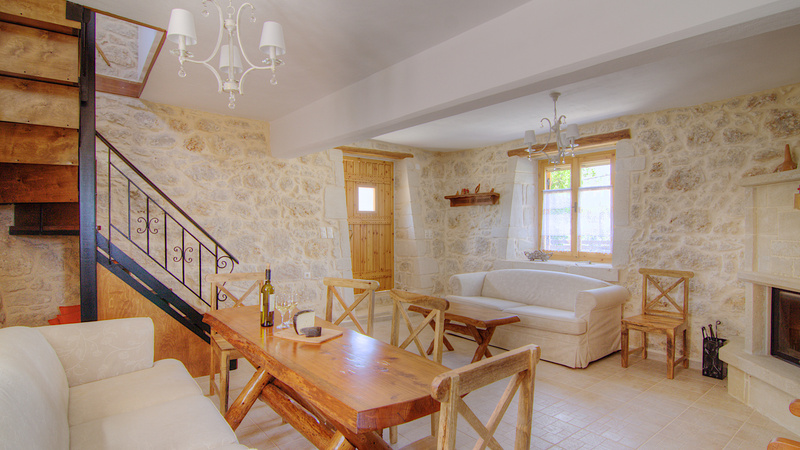 Villa Caneva - Stone built cottage house in the nature with spacious gardens and full privacy! 35 square meters private swimming pool offering full privacy! Villa Caneva is a 120 sq. 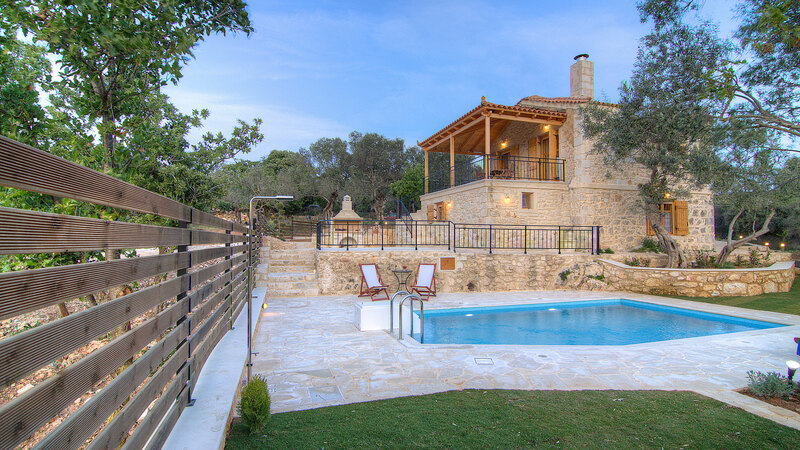 m. stone built villa, located on a hill surrounded by trees next to the village of Prines. 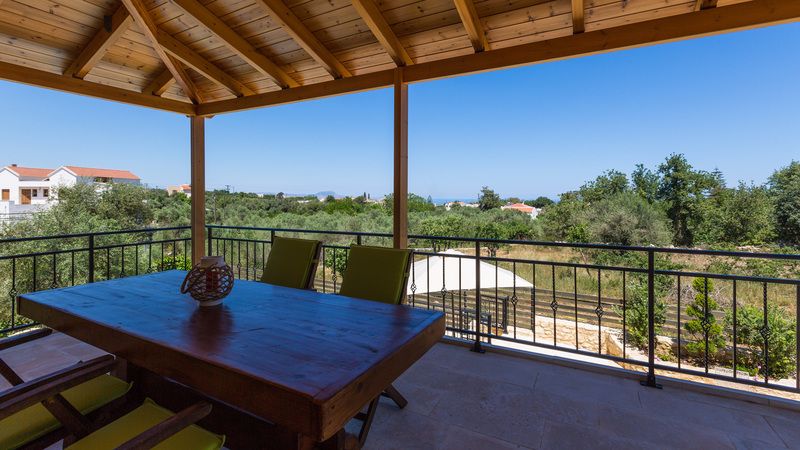 Only 10 minutes away from Rethymno town and the beach this renovated villa was formerly an old traditional aqueduct built in the 1950s! It offers total privacy in a relaxing village. 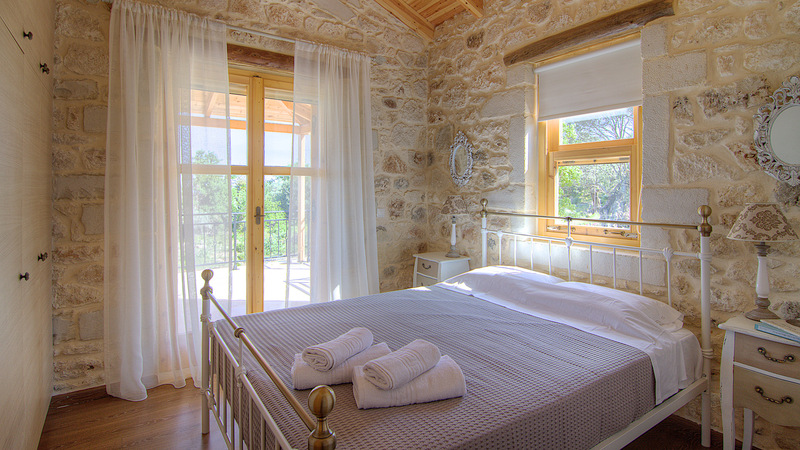 The villa can accommodate 6 people in beds and up to 8 people. On the ground floor you will find the living room area with an indoor dinning table, a fully equipped kitchen and one bathroom with shower! 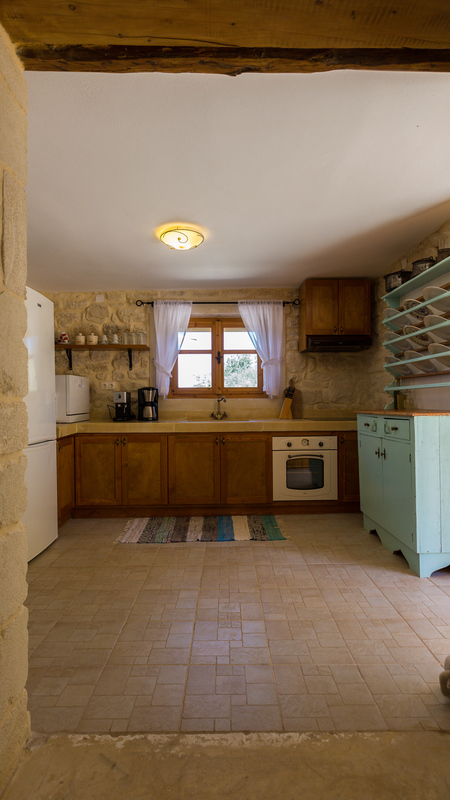 The kitchen area has an exit to the barbecue area and the garden. 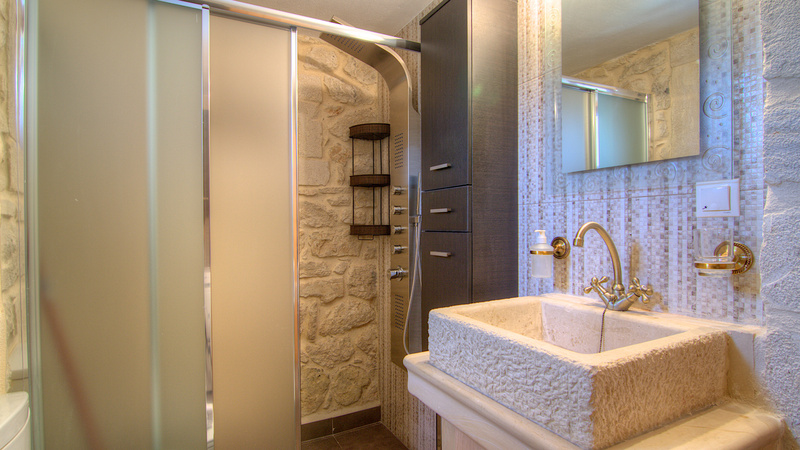 On the first floor, there are 3 bedrooms and one bathroom with a shower. 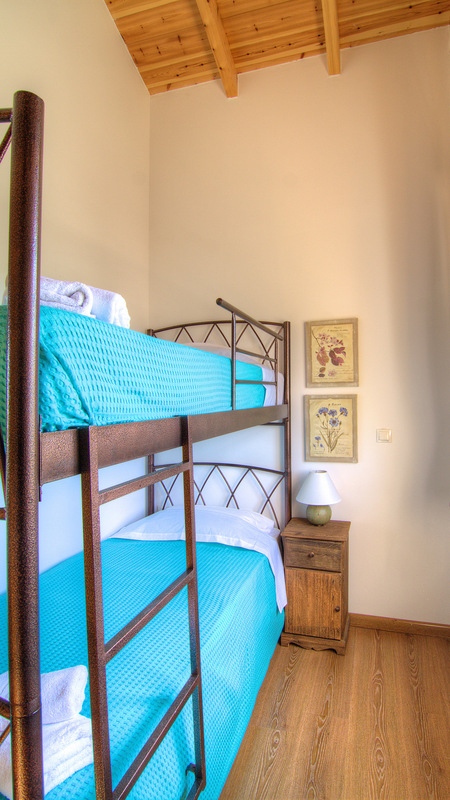 Two bedrooms are double bedded with access to the veranda and the other hosts a bunk bed (2 joined single beds). All bedrooms are air-conditioned. 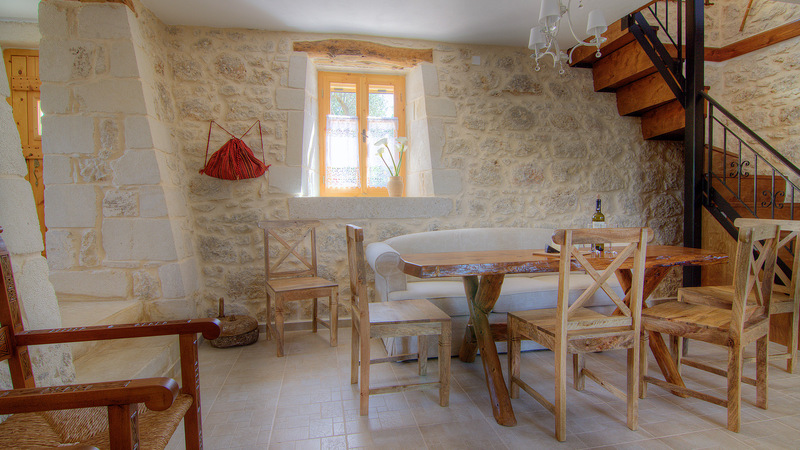 The house keeps also its own cool temperature because of the stone made walls. Outdoors close to the flower gardens and trees a private swimming pool with sun beds and umbrellas can be found. Also you will find a fully equipped barbecue area, many seating areas with view and a lot of space for children to play. The whole area is fenced and secured by a security camera system directed at the main gate! 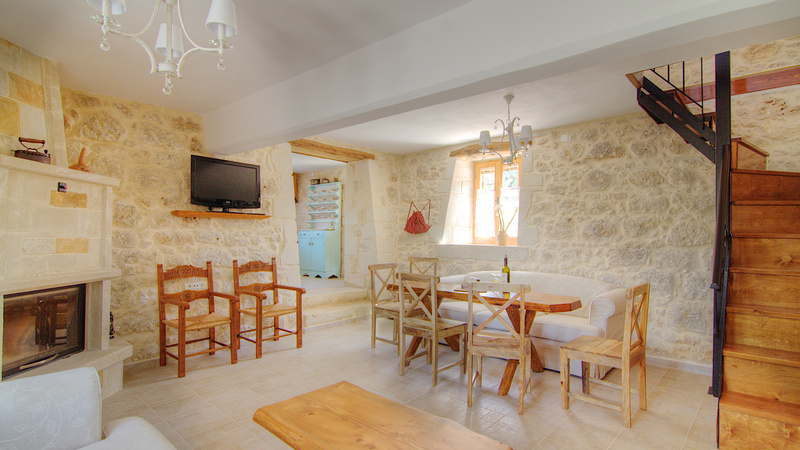 **The villa is not suitable for people with disabilities and walking difficulties. 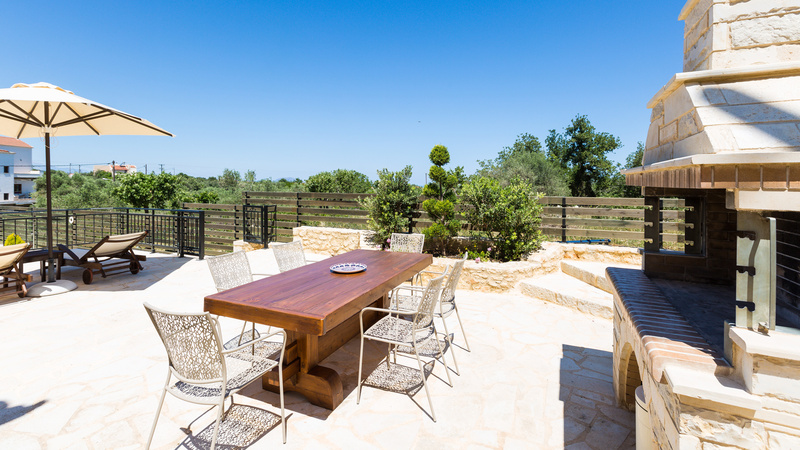 - Spacious fenced outdoor areas surrounded by trees and nature. - Serenity with fabulous views. - Great location, a feeling of privacy without actually being too far from anything. 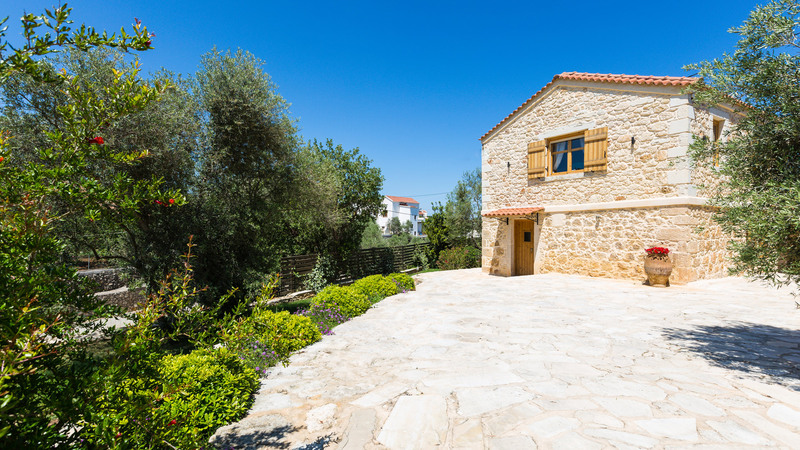 Only 300 m from the village of Prines with its cafe, taverns and a mini market, 5 minutes away from Atsipopoulo an even larger village with numerous amenities and 10 minutes from Rethymno and the beach! 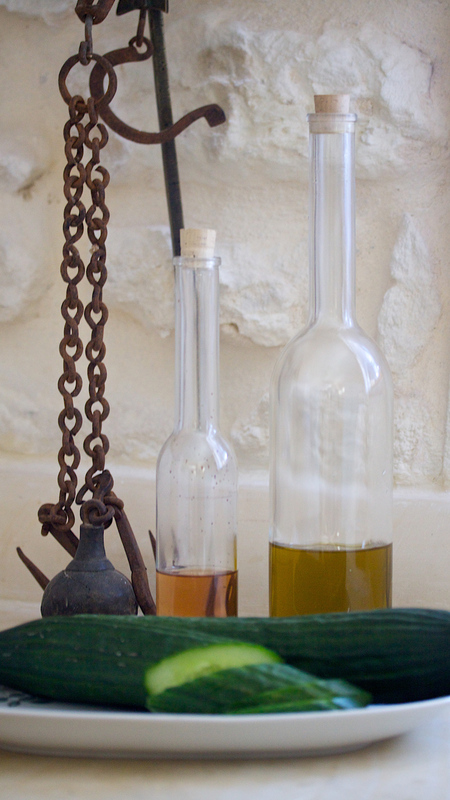 - Bus to Rethymno is available. 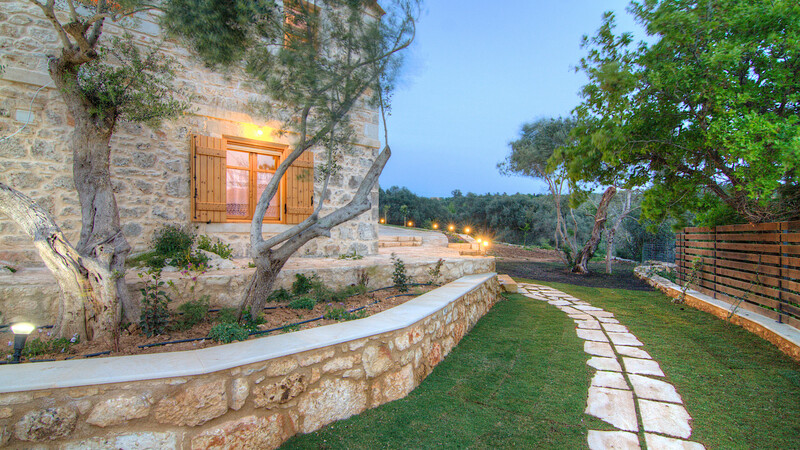 - Full privacy in all outdoor areas as the villa is located on a hill. 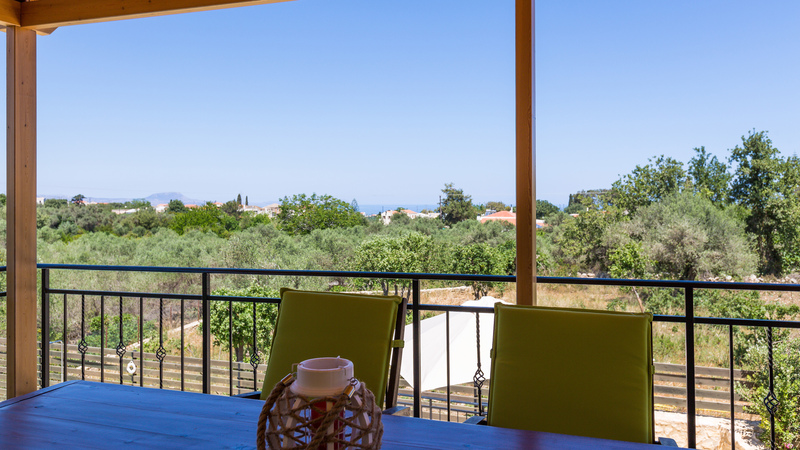 - Ideal for families with children because of the outdoor layout. 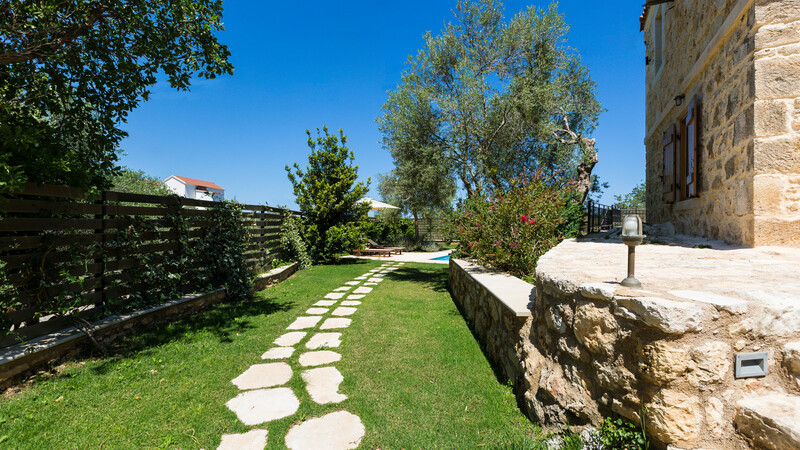 Children will have plenty of fenced space to play without being near to the pool. 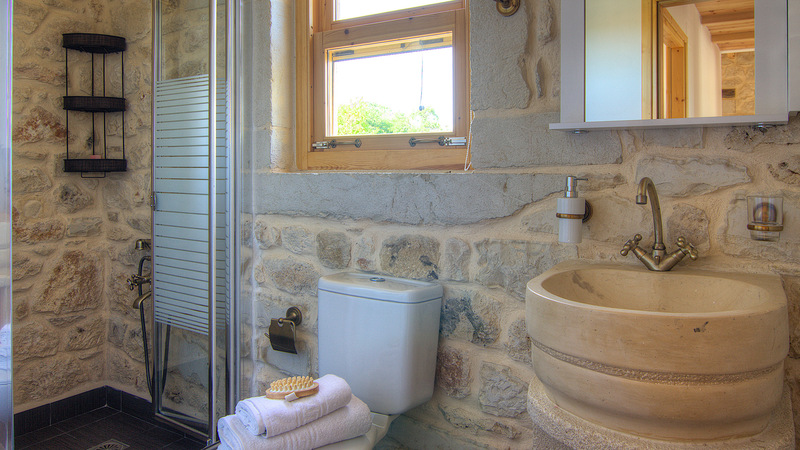 - It's stone construction means that the house is always cool maintaining the same temperature. 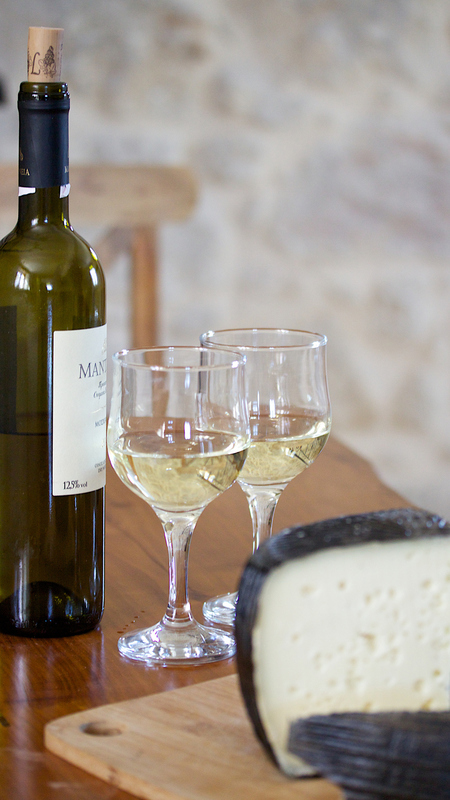 - The hospitality of the owner who will be on hand if need be ready to help or give you advice! 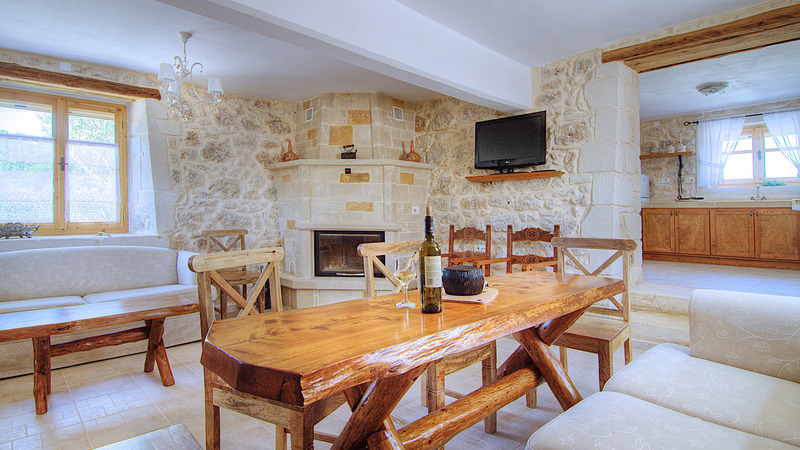 The living room area on the ground floor contains a 32” satellite HDTV, a fireplace and the dinning table for 8 people. 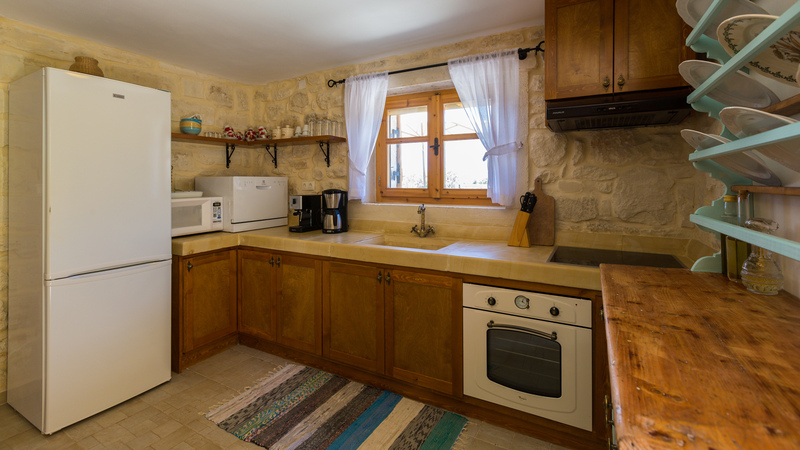 The fully equipped kitchen which is next to the dinning area and the barbecue contains a refrigerator, an oven, a microwave, a dishwasher, a toaster, one espresso and one filter coffee machine, dishes and utensils for more than 8 people and an indoor dinning table. There are 2 dinning tables in the villa! One indoors in the kitchen area, one in the vedanta next to barbecue and the kitchen! There are 2 bathrooms in the villa, one in each floor with shower! Fully equipped barbecue area with a sink and an outdoor dinning table. We will provide you everything that you might need in order to use it. There is a 1.500 sq. meters fenced outdoor garden area surrounded by nature, offering full privacy from any angle and unique views of the area and the sea! 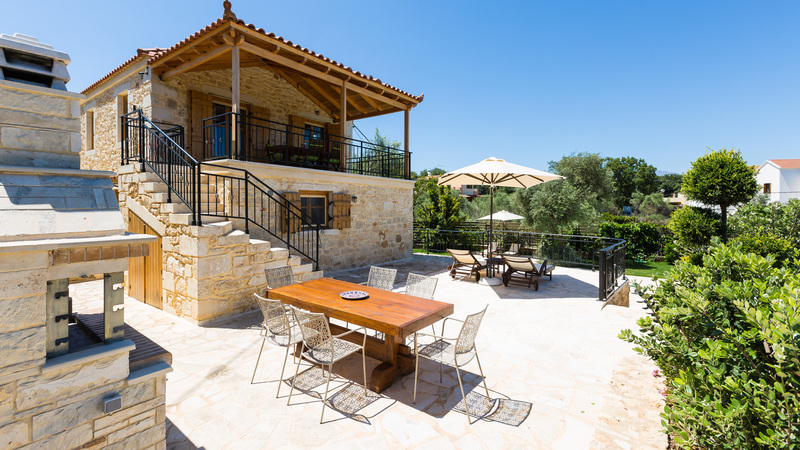 The layout of the garden and the pool area which can be isolated makes the villa ideal for families with children.